When Amazon announced plans to open a second headquarters in North America last week, cities were quick to express interest in hosting its new facilities. Mayors from Toronto to Tulsa, Oklahoma rushed out responses, calling their cities prime candidates. "This is a transformational opportunity unlike any that we've ever seen," Pittsburgh Mayor William Peduto said in a statement. It's no surprise cities would clamor at this possibility; after all, Amazon will spend billions of dollars developing the headquarters and hire 50,000 workers. While many would love to call their city a home for Amazon, some locations make more sense than others. Amazon said its second headquarters should have easy access to an airport with direct flights to Seattle, New York, San Francisco and Washington D.C. Atlanta has the advantage of being a major air travel hub that's within a two-hour flight from 80% of the U.S. population, according to the city government. 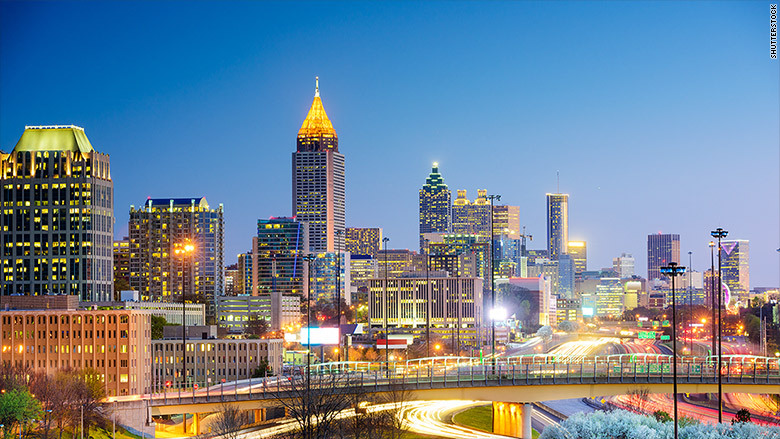 Atlanta is also already home to many corporate headquarters, which could help with recruiting. "Let's say you need a specialist, such as a chief financial officer, and you're able to say that [your company is] located in a city with multiple company headquarters, that makes it a more attractive job offer," Ravi Madhavan, a professor at University of Pittsburgh business school, told CNN Tech. "In the back of their mind, [job candidates] might think, 'What if this doesn't work out?'" Another Atlanta advantage is the presence of Georgia Institute of Technology, a natural place for recruiting future workers given its strong engineering program. For example, NCR Corporation, which makes payment terminals and other consumer technologies, is relocating its offices near the campus. It believes the location will help attract talent. Jeffrey Hu, a business professor at Georgia Tech, said the city's growing entertainment industry could also be appealing to Amazon. The tech company has expanded rapidly into video with Prime Video, and more films were produced in Georgia than California in 2016. Investment bank J.P. Morgan estimated Amazon will spend $4.5 billion on content in 2017. 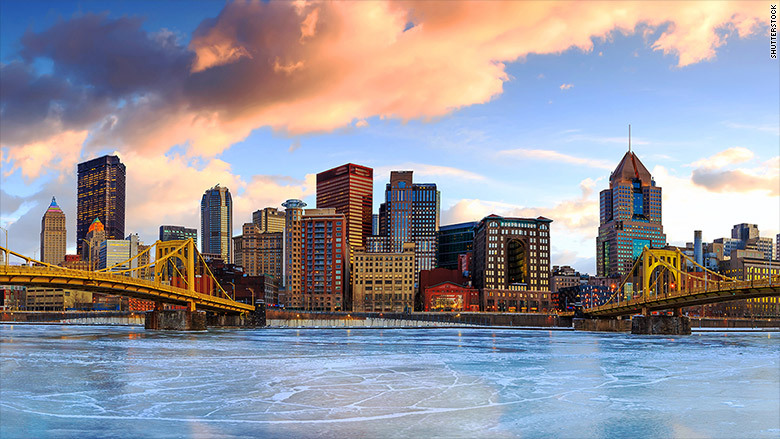 Amazon has asked interested cities to share how it may acquire software engineers, and Pittsburgh has a great answer: pull talent from Carnegie Mellon University. Each year the local university graduates a fresh crop of world-class engineers. The University of Pittsburgh -- which has a computer science department -- would be another place nearby to recruit. But the city has a significant drawback: It lacks direct flights to Seattle, a requirement in Amazon's request. However, its airport, which scaled back flights in recent years, could become a valuable resource. Amazon has shown an interest in building out its logistics capabilities, which includes air travel for Amazon planes, and Pittsburgh International Airport could handle that type of growth, according to Madhavan. Amazon may be a U.S.-based company, but the company is considering all of North America for its second headquarters. Experts say Canadian cities could be appealing, especially with recent visa issues and immigration uncertainty in the U.S. Tech companies such as Amazon rely on foreign countries to find technical talent. 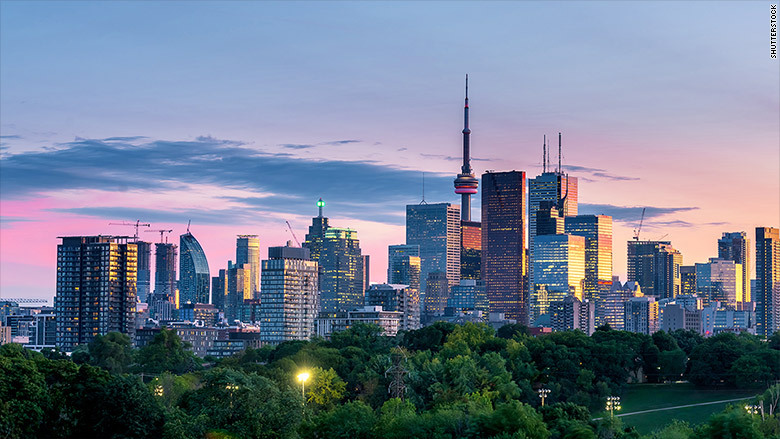 Toronto is Canada's largest metro area and provides a wealth of nearby tech talent, including the University of Toronto. It's also only 70 miles from the highly regarded University of Waterloo. Its mayor has already promised to lead a push to bring Amazon to the city. 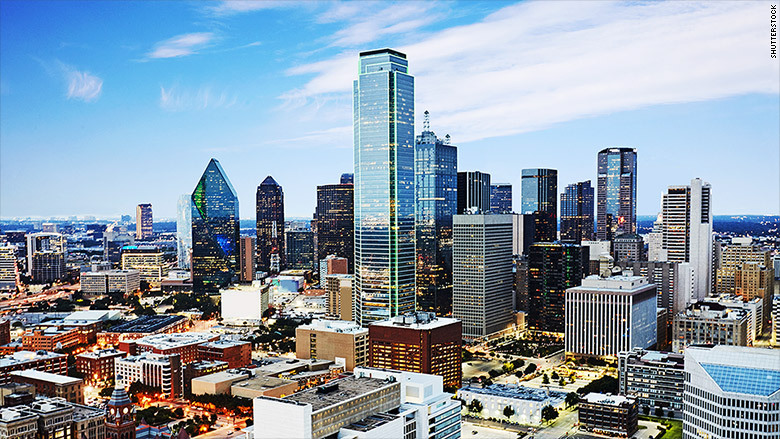 Texas is notoriously business friendly and home to four of the five fastest growing regions of the country, according to the U.S. Census Bureau. Dallas/Fort Worth earned a spot on the real estate group CBRE's rankings of the geographic locations with the most tech talent this year. While many cities are suffering a brain drain -- when locally educated workers move elsewhere -- Dallas' was bested only by San Francisco in terms of attracting tech talent. Its cost of living is also significantly lower than other tech hotspots, such as San Francisco and New York. 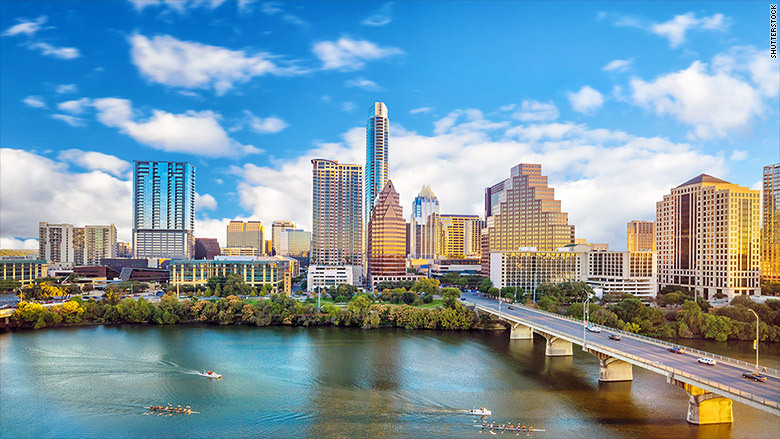 Austin has a booming population and tech sector. It already has offices for tech companies such as Apple, Google, Facebook, Microsoft and Samsung. There are 425,000 college students in the region, according to the Austin Chamber of Commerce, providing a strong base for recruiting new employees. The city's culture, lifestyle and temperate climate also make it an appealing destination. "People who prefer warmer weather and less rain can go to HQ2 Austin, rather than HQ1 in Seattle. it would certainly make a lot of sense," said Madhavan. 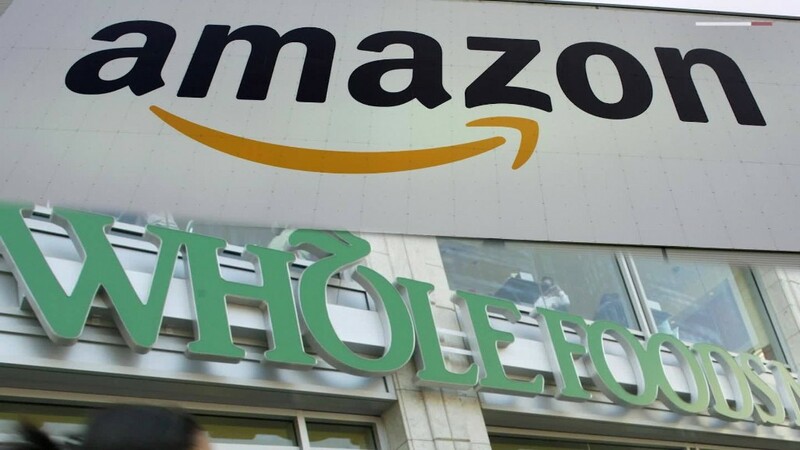 Amazon requested that interested cities provide incentives from the state and local community. Boston has previously welcomed new headquarters such as GE and iboss Cybersecurity and has shown a willingness to help pay for them. In January 2016, GE's corporate headquarters move to Boston came with $150 million in government incentives. Meanwhile, an Amazon presence in Boston would make it easy to recruit top talent from MIT and Harvard. But like Washington, D.C. and the Bay Area, it's an expensive city. 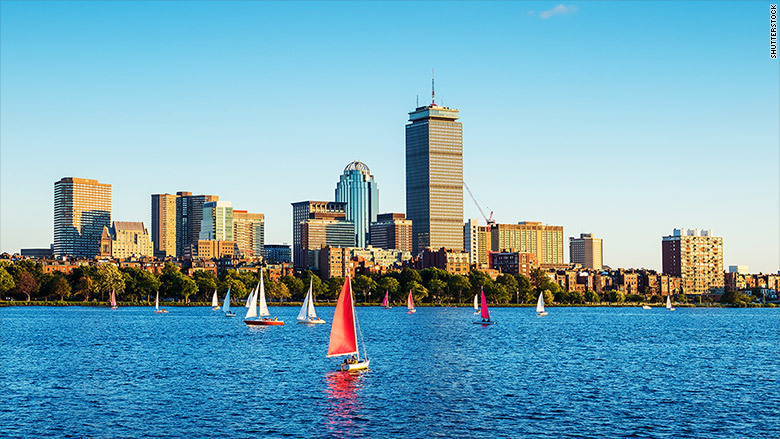 The website Expatistan, which crowdsources the cost of living, ranks Boston as the eighth most expensive North American city. 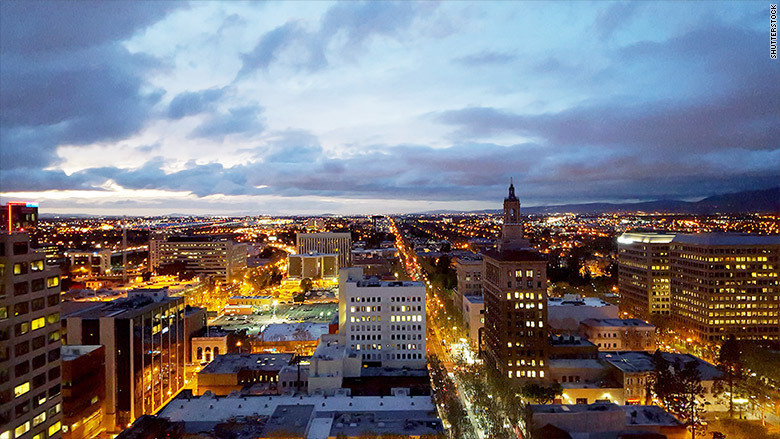 The San Francisco Bay Area is an obvious candidate for its wealth of tech talent, and San Jose is no stranger to welcoming tech companies to its downtown. In June, the city announced a potential partnership with Google for more than 6 million square feet of office space -- an effort that would create 20,000 jobs. The project is in its early stages. Amazon has stressed its interest in its second headquarters having to a downtown area, with mass transit on site. But Mayor Sam Liccardo told CNN Tech the city wouldn't offer any financial incentives to Amazon. "Every major city in this country is engaged in a war for talent," Liccardo said. "Far more than subsidies or pretty buildings or charismatic mayors, what encourages an employer to plant a seed and to water the seed in any community is the availability of talented creative people." He also cautioned against building public transportation to a large open acre site, like Amazon has requested. Generally, public transportation is built to alleviate stresses on existing road infrastructure -- not to bring people to a single company. That's a much harder sell to taxpayers, who will foot the bill. 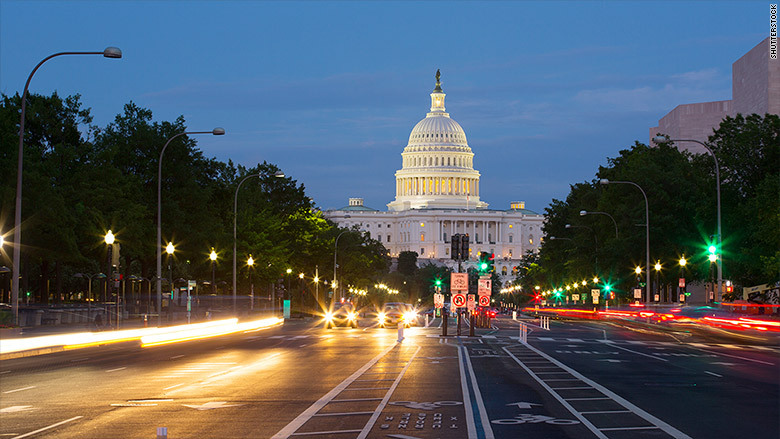 The nation's capital ranked no. 4 on CBRE's 2017 rankings of cities with the top tech talent. But the city has more to offer Amazon: The company, along with other tech businesses, may face antitrust concerns in the coming years. An Amazon headquarters near the federal government could be a chance to build better connection with national leaders. The location could also be appealing to Amazon CEO Jeff Bezos, who owns The Washington Post and recently purchased the city's largest home for $23 million.